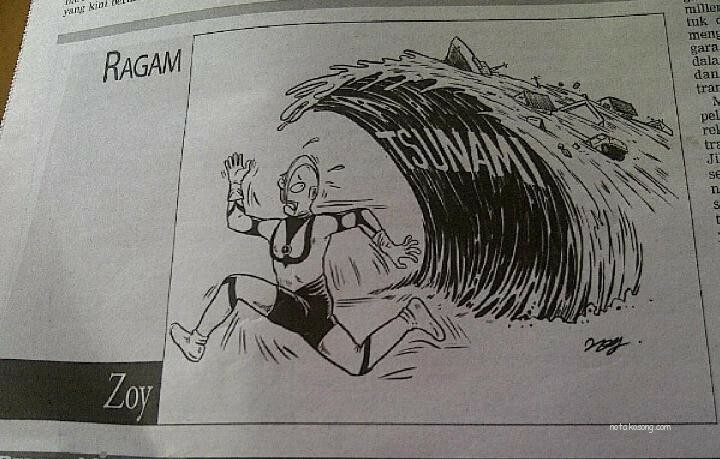 This cartoon came out on Berita Harian two days back and was picked up by CNN as making fun of the tsunami disaster beseiging Japan. 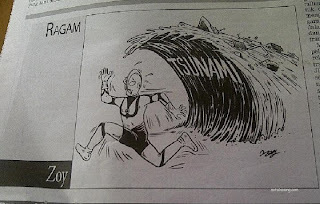 Although BH has apologised yesterday, there is no excuse to justify this senseless, and stupid act of publishing the cartoon. In times of great sorrow and shock to our Japanese friends, where 10,000 Japanese loss their life and is now facing a looming nuclear fallout from the fire at the nuclear powerplant, it shows great insensitivity on the part of BH. The buck has to stop at NSTP Group Editor in Chief, Dato Zainul Ariffin dan BH Group Editor, Dato Mior Kamarul Shahid to take up this responsibility for this gross negligence and embarassment. One BH reporter claimed that this is just the pinnacle of the problem of neglect on the part of Zainul who has been so engrossed with boosting sales of NST that he had left it totally to Group Editor, Dato Mior Kamarul Shahid to handle BH. Mior's was described as "pengecut dan lembab" (coward and slow) in his management and is spending more time going out than managing the paper. The editors are deskbound and becoming frogs under coconut shells unable to fathom the insensitivity of that cartoon. Zainul is in a situation described by Malay perumpamaan as "Yang dikejar tak dapat, Yang dikendung berciciran" (Neither getting the chased ones, Nor kepping the one in hand). NST is still declining in circulations. 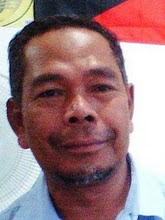 One former NST reporter attribute the problem to Zainul's Melayu Liberal inclination or Neo Liberal philosophy that is neither giving the leadership nor the direction to attract back NST's traditional pool of readers that left dfuring Kalimullah's reign of terror. Zainul is still maintaining few of Kalimullah people in important positions in the paper.